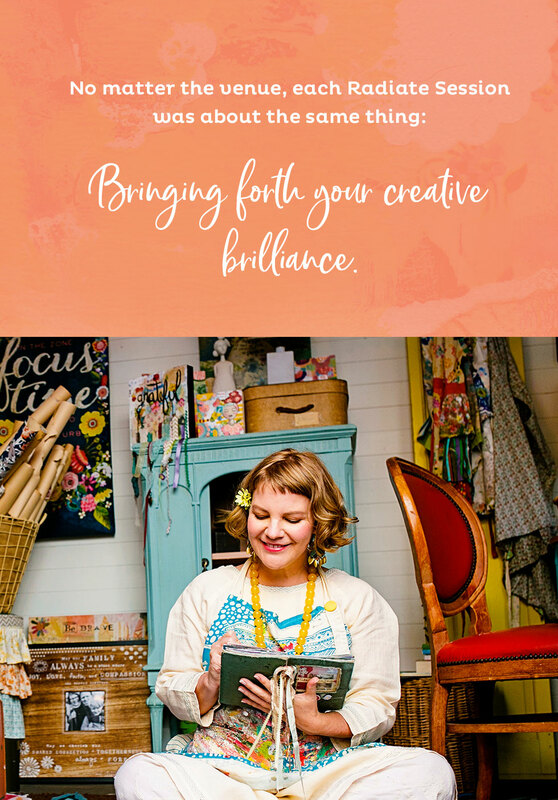 Are you ready to radiate bright new possibilities for your creative business and do the work you were put on this earth for? Mentoring to help your soul-driven business shine. Mentoring sessions are coming soon! Want to be notified when The Radiate Sessions launch? 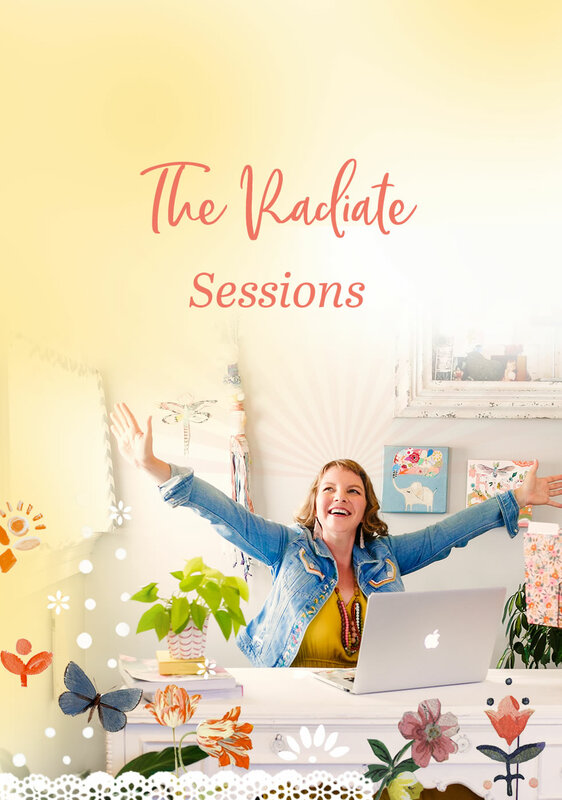 “Having a radiate session with Kelly Rae Roberts to give lift to passionate projects is one of my favorite things to do. She’s appropriately conscious of what she puts out into the world as an artist and is able to maintain a level of honesty about my work that brings balance to what I do. The Radiate Sessions are all about. Your work is about soul, creativity, and a deeply personal backstory. Even if you’re still in the early idea stages, it feels like your creative business is an important expression and extension of your soul. That’s why reaching out for business advice is not as simple as buying a cup of coffee – this is intimate, sacred territory. You want mentoring from someone who can really see you. 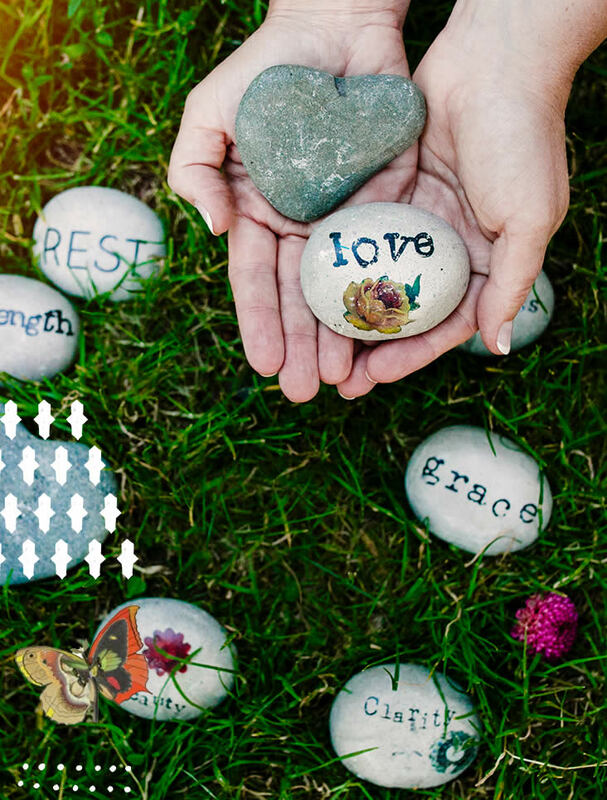 Someone who understands exactly what makes you unique, and how you can turn your uniqueness into creative offerings. Someone with decades of practical experience, resources and tips and they’re totally over-the-top generous with all of it. Someone whose encouragement you actually believe, because the way they talk about your biz soul mission beautifully mirrors the quiet truths in your heart. I’m a formal social worker turned artist, author, teacher, and entrepreneur. Many years of late nights and failed attempts followed by explosive growth, brought me to this moment. I know full well how scary and uncertain the entrepreneurial path can be, but maybe that’s why I call myself a Possibilitarian, because even in murky waters, I always see life’s invitations and possibilities. For the past few years, I’ve been doing Radiate Sessions privately with my friends. Sometimes, we sit knee to knee on my living room couch, sipping a cup of tea. Other times, we huddle up at the back table of a cozy cafe, and a few times, we’ve hopped on Skype. 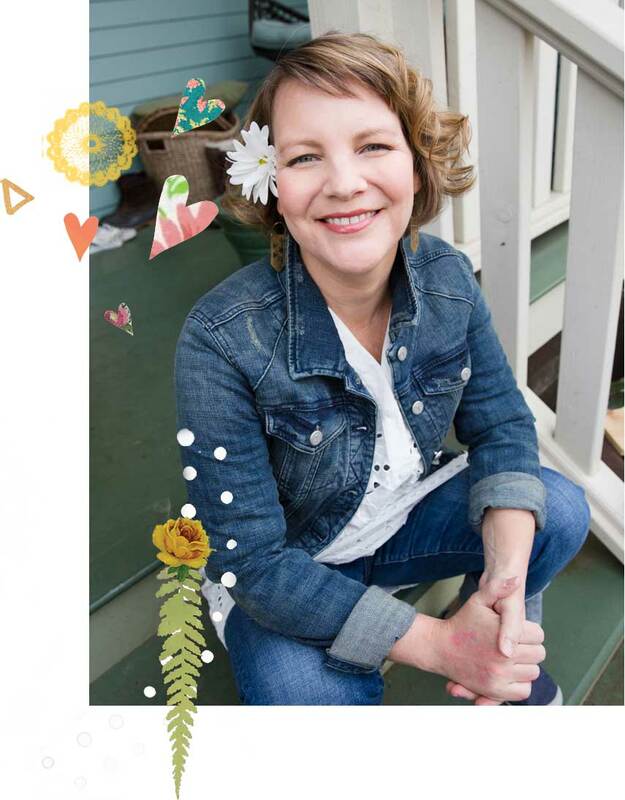 Sharing her brilliance for creating a soulful and sustainable business, along with her deep understanding of the human psyche, illuminated my path into the real purpose of my business. From making sense of my diverse offerings, to identifying areas to expand, as well as what to prune away, she helped me rethink my WHYs, WHATs, and WHOs, enabling me to re-brand and stay true to my heart. 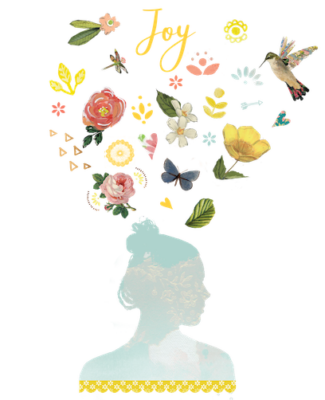 Kelly Rae gently guided me right to the soul of my business and I have emerged full of inspiration, energy and clear direction. Whether you are years into an established business or just starting out, I’d love to help you get clear about your soul mission and then translate that clarity into a purposeful and profitable business you can be deeply proud of. The energy in a Radiate Session is electric. Hearts engage and overflow with optimism. An enormous thrill rises up when you are powerfully witnessed and showered with ideas (customized just for you!) that will unveil and amplify your sacred genius. And that’s what The Radiate Sessions are about. I believe in your possibilities. Once you see them too, you’ll never look back. ”Kelly Rae! 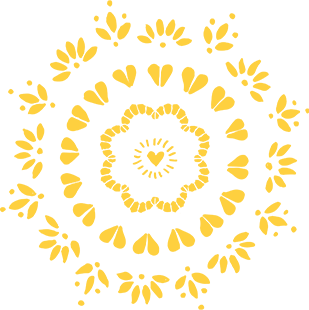 Radiating with you has been one of the top three best decisions I’ve ever made for my business! Thank you for how you see and hear me, for how you mirror back to me so gently and with such love. I went from feeling wobbly in considering an idea that had been incubating for years to feeling confident and ready to take inspired action to bring it to life. “The radiate sessions are a gift that you give yourself. Kelly Rae has a wonderful way of reflecting back to you all the things you have forgotten about yourself.